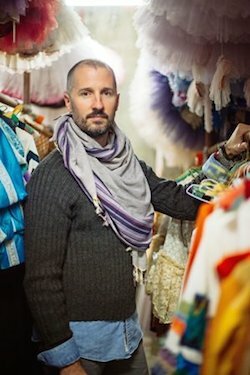 Former Australian Ballet Principal Artist Robert Curran was officially pronounced incoming Artistic Director at Louisville Ballet in August 2014 and has been keeping busy ever since — the company only recently finished its Christmas season of Brown-Forman’s Nutcracker and is soon to announce the details of its 2015-16 season. Dance Informa’s Grace Gassin caught up with Robert to find out how he managed to land his heavily sought-after job. Congratulations on becoming Artistic Director of Louisville Ballet, Robert! As many of us remember well, you had a long and rewarding career as a principal dancer. How did you come to pursue a career as an Artistic Director? 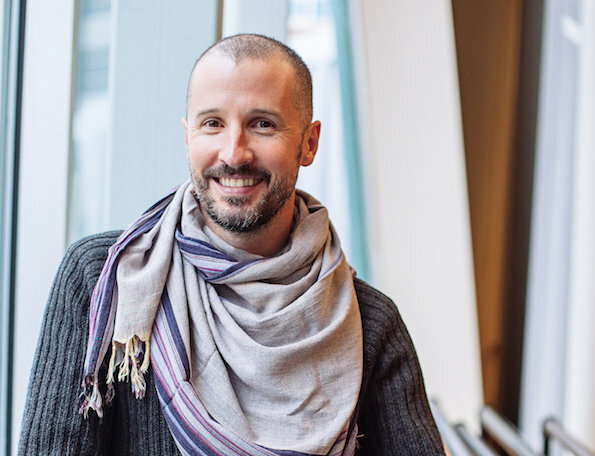 “It was actually a conversation I had with David McAllister that sparked the idea that artistic directorship would be something that I could do. Working up through the ranks of the Australian Ballet, I worked almost every night. But once I achieved my goal of being Principal Artist, my workload evened out a little as I wasn’t required to dance every show — I shared the leading roles with other dancers. You were named Artistic Director of Louisville Ballet from a field of 80 candidates, of whom four were shortlisted. What was it, do you think, about you and your vision for the company that impressed the board? New Louisville Ballet Artistic Director Robert Curran. Photo by Meagan Jordan. You’ll get your first chance to give audiences a taste of your vision for the company at the Director’s Choice in April. How do you think your approach compares to that of the outgoing Director Bruce Simpson? “Well, we’re both not American — Bruce is Scottish and had most of his career in South Africa, so we’re similar in our international tastes – the Australian Ballet, as you know, has a very international repertoire because we’re so geographically isolated. It puts a great deal of effort into making sure that the dancers and the audiences get to see a wide variety of works. But there are differences in our tastes and our approach to technique. I’m roughly thirty years younger than Bruce and partly because of that, my ideas for the marketing of the company differ from his, particularly my approach to digital technology and where ballet can go or should go as an art form. Are there any key personal and artistic experiences from your past that you think have particularly informed your approach to the art form? “Most definitely creating and presenting with JACK Productions, a project-based dance company that I started with Lucas Jervies, Andrew Killian and Laura Message (née Tong) — pulling that company together and inventing the three pieces that we presented was an incredible challenge but also really rewarding. We got such positive feedback about trying to do something different with classical ballet and that’s where I feel most of my motivation comes from in terms of pushing the art form forward. But I do have a profound respect for the tradition of classical ballet. 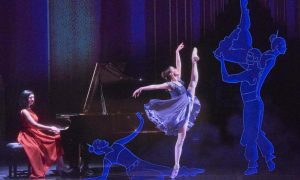 What made you choose to apply for the directorship of Louisville Ballet? Did you see the potential for creating that kind of loop in this company? Robert Curran with Lucinda Dunn in ‘Nutcracker, The Story of Clara’ for the Australian Ballet. Photo by Branco Gaica 2009. As a new director then, taking over the company really must have felt like a lot of responsibility — are there times when you’ve felt overwhelmed? “It certainly does feel like a lot of responsibility! To be honest I don’t feel all that overwhelmed because Louisville Ballet has such a great team. The board is fantastic — they’re very involved, very open-minded and very supportive. How does the Louisville Ballet compare to the Australian Ballet in terms of its size and work environment? “The Australian Ballet is much bigger than Louisville Ballet. Australian Ballet have, I believe it’s now 72 full-time contracts? Louisville Ballet is at 24, so it’s really a third of the size. The company here also works on a 30-week contract, so the dancers only work for 30 weeks of the year. At the Australian Ballet, the dancers work for 48 weeks of the year. 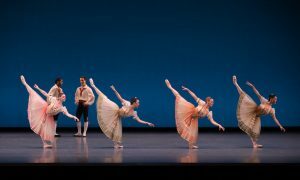 There are fewer performances — Louisville Ballet does about 25 performances a year while the Australian Ballet does about 200 performances a year, so the size and scope of the organisations are significantly different. The Australian Ballet also has an enormous audience base, and that’s just not the case here in a city of around 750,000 people. What about in terms of the look and style of the company and its dancers? What are your short-term goals for the company? “We have quite a lot of them. There’s the Director’s Choice, the details of which we’ll release in January, and that means a lot to me because I really do want it to be a snapshot of my vision for the company. Photo (top): New Louisville Ballet Artistic Director Robert Curran. Photo by Meagan Jordan.